Back in 2016, Facebook rolled out Facebook Live, their video streaming service that allows users to broadcast in real-time. Over the past few years, this feature has become one of Facebook’s greatest frontiers, revolutionizing the idea of traditional video formats. For example, did you know that Facebook live videos have reached 2 billion total monthly users? As such, live videos bring numerous benefits to online marketers. They give them the opportunity to engage their audiences, humanize their brand, and build hype around it. According to recent research studies, Facebook Live has a 10 times greater reach than all other forms of Facebook content. Moreover, it also has 6 times more interactions than traditional, pre-recorded videos. 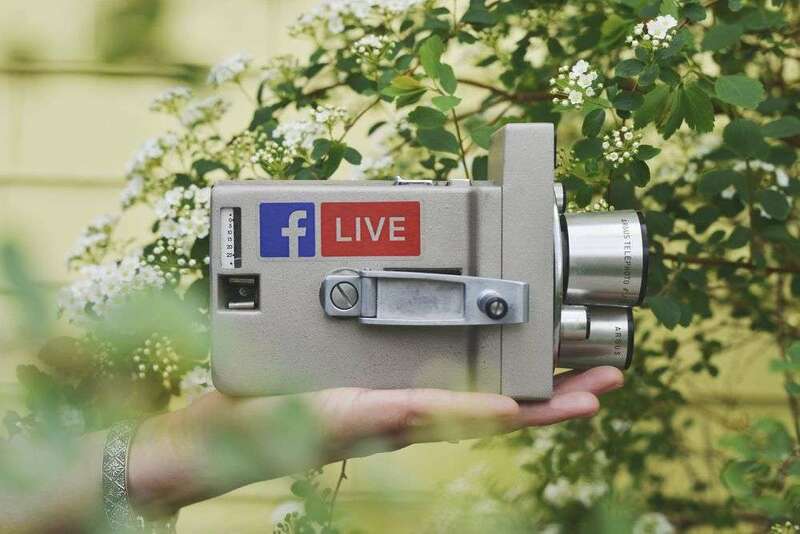 Now, even though it seems like a simple concept, Facebook Live is not all about pressing the “Go Live” button and recording everything that crosses your mind. Instead, you need to have a good reason to go live and build a strategic plan to back you up. Here are 9 practical tips that will help you increase user engagement using Facebook Live. It’s important to prepare well before launching your live video and ensure things are running smoothly. By making the video visible to yourself only, you will be able to check audio and video quality and eliminate all potential problems and distractions. This is how you will create frictionless user experiences and increase people’s engagement. You cannot expect to go live and see viewers coming in flocks. Sure, your follower base will receive a notification once you start streaming, but this is not enough to reach the desired number of engaged users. No matter how many followers you have, you need to go the extra mile in promoting your live content beforehand. Your goal is to spread the word about your video to wider audiences, inform them about its purpose and benefits, and increase their interest in it. You want them to mark their calendars for that day. Create a Facebook event to inform people about your live video. This is where you should provide a detailed description of the video, the major topics you will tackle, its benefits for users, as well as emphasize why they shouldn’t miss it out. Also, update the event page to keep your audiences engaged. For example, encourage them to ask questions they would like you to answer in your live video. Promote your video via email. The success of your live video lies in cross-promotion. And, this is where email marketing can help. Don’t forget to include a link to your Facebook event page, as it builds trust with email recipients. Seeing that many people are interested in your event, chances are they will also want to tune in. Messenger chatbots are immensely important in Facebook marketing, as they provide 24/7 customer support and increase user satisfaction. Above all, you can use them to promote your latest news and content. This is an awesome way to inform your followers about your live event and even have them click the “Interested” button right from the bot. Crossposting is one of the most amazing features you should leverage before going live. The idea is simple – you promote your live videos across multiple pages. However, you first need to build a crossposting relationship with another Facebook page, meaning that your live video will appear on these partner pages. Crossposting also provides you with the consolidated view counter that calculates the number of video views across all pages. This is an immensely powerful feature, especially if you’re using Facebook Live to give insights into a physical event that is happening at the moment or promoting a time-sensitive offer. This is how you will get more eyeballs on your event and increase the number of viewers. The beginning of the video should grab people’s attention and keep them engaged. Start by welcoming everyone, highlighting what the topic of the video is and why it matters, and mention what issues you’re going to cover. A live video is also a chance to build personal relationships with viewers. For example, when someone new tunes in, you could simply greet them. Your followers will like to hear you saying their name – it tells them that you care about them as individuals. Above all, reintroduce yourself during the live video. If you haven’t done this before, always remember that not everyone will view the video from the very beginning. So, by providing some basic information about the video is important to grab the attention of those people who tune in later. Once the streaming begins, ask your audience to tag their friends in the comments and even share your live video. Maybe their friends that may be interested in what you have the say don’t know about your live streaming, so this is an amazing opportunity to put yourself in front of them. You should also take advantage of your Facebook community. Like you already know, building an online group is a great way to build relationships among your fans and create a pleasant environment where people constantly communicate, joke, and help one another. So, why not use these friendly vibes when going live? For instance, you could throw a Facebook watch party, where group members can watch your live videos together whenever they want and discuss them in real-time. Going live is an awesome way to make your followers heroes of your story. And, one of the best ways to do so is to display their comments on-screen. As they’re super-excited about seeing their names on their screens, they will be more likely to interact with you and leave comments. Then, focus on the most meaningful comments and provide real-time answers to them. This is how you will remind your audience that a live video is their opportunity to get answers to their questions fast. No matter how many times you rehearse, things will never go as expected. Your wifi can break, your laptop can lag, you can lose your thoughts. And, no matter how terrifying this seems to you right now, don’t get discouraged. The key to a successful live video lies in spontaneity and authenticity. You just need to learn how to embrace imperfection and turn it to your advantage. For starters, act natural. As live videos depend on numerous factors, don’t dictate the pace of the video. Instead, be in the moment and keep the conversation flow naturally. Keep the conversation flow organically. This is actually what people love about live videos. Anything can happen and your reactions to unpredictable situations are the only thing that matters here. When the live video is over, you need to keep users engaged and turn them into brand advocates. Thank each user for watching the video and provide them with the answer they expect to get. Above all, don’t forget that this is a great opportunity to interact with your audiences in an organic way. For example, ask them whether they liked the last episode, whether it met their expectations, or whether there is anything they would like to add. This approach brings many benefits to your social media presence. First, users’ comments and your answers increase the visibility of your live video and help it stay longer in the news feed. Second, this is a great opportunity to provide additional tips to your audiences, humanize your interaction with them, and increase their overall satisfaction. Third, the comments people leave on your live video are a treasure trove of user information. They give you the opportunity to understand your target audience and generate awesome topic ideas for your next video. Finally, you can use your replies to previous live video comments as a promotion tactic for your upcoming guide or live video. I know, Facebook live is a great marketing technique. It helps you build stronger relationships with your users, talk to them in a natural environment, and increase conversions. However, just because it works doesn’t mean it’s the only Facebook marketing tactic to use. Combine your live videos with other forms of content and media. Recorded videos, podcasts, infographics, UGC, quizzes, and comprehensive guides are still a key element of your user engagement strategy. Take your audience backstage to show them how your world looks like. This humanizes your online presence and gives your content certain credibility. Report breaking news to grow your industry authority. Promote your time-sensitive offers and deals. Use live videos to repurpose your awesome guide or article. Host a Q&A video to bring value. Only by blending your live videos with other types of social media content and using them strategically will you be able to give them maximum exposure. When used wisely, Facebook Live can be a true engagement booster. Even though these are some of the most vital steps to take to maximize user engagement with your live videos, you should still keep in mind that there is no one-size-fits-all strategy. Instead, try different tactics and test your results regularly to understand what resonates with your viewers. How do you use Facebook Live to boost user engagement? See also: How to Use Facebook Live to Generate Quality Leads? Elaine Bennett is a digital marketing specialist focused on helping startups and small businesses grow. Besides that, she's a regular contributor for Bizzmark Blog and writes hands-on articles about business and marketing, as it allows her to reach even more entrepreneurs and help them on their business journey.